Silverstack can create an .xml file compatible with Adobe Premiere Pro to transfer clips and clip metadata to the editing tool. Master Info: Contains Scene Shot Take info as well as the Reel Name. Tags as Master Comment 2: Maps the tags in Silverstack to the master comments 2 in Premiere Pro. Audio Info: Takes over the Source Audio Clip Names column and the # of Source Audio Tracks Info to Clip Comment A and Clip Comment B in Premiere. Cue Points as Markers: Maps the cue points in Silverstack to the markers in Adobe Premiere Pro. In Premiere Pro the Reel Name of the XML will be taken over to the Tape Name column. 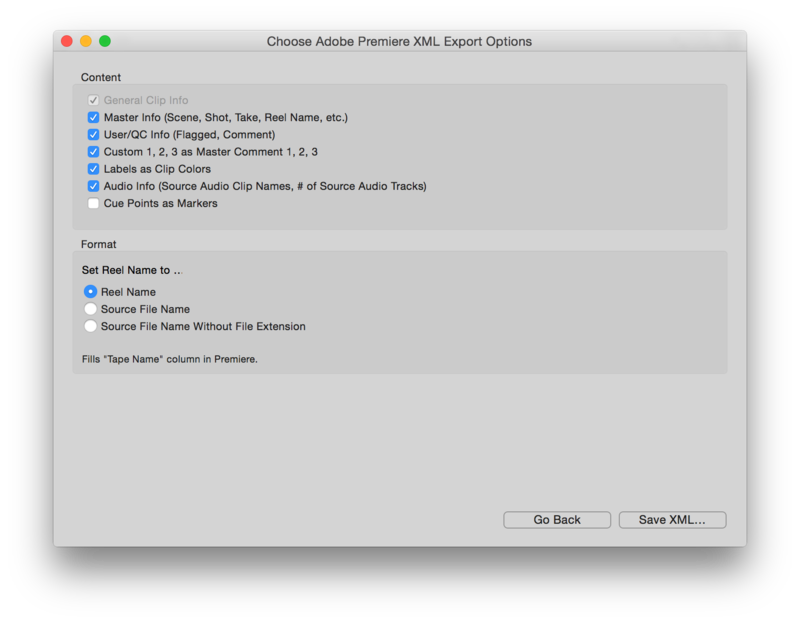 After defining the settings click “Save XML…” to export the Adobe Premiere Pro XML. Silverstack can provide information about external audio clips that have been synced to Adobe Premiere to create synced sequences with correctly aligned video and audio tracks. This feature helps e.g. to implement workflows where audio clips are not available before transcoding and are synced to the transcoded clips at the end of the day. 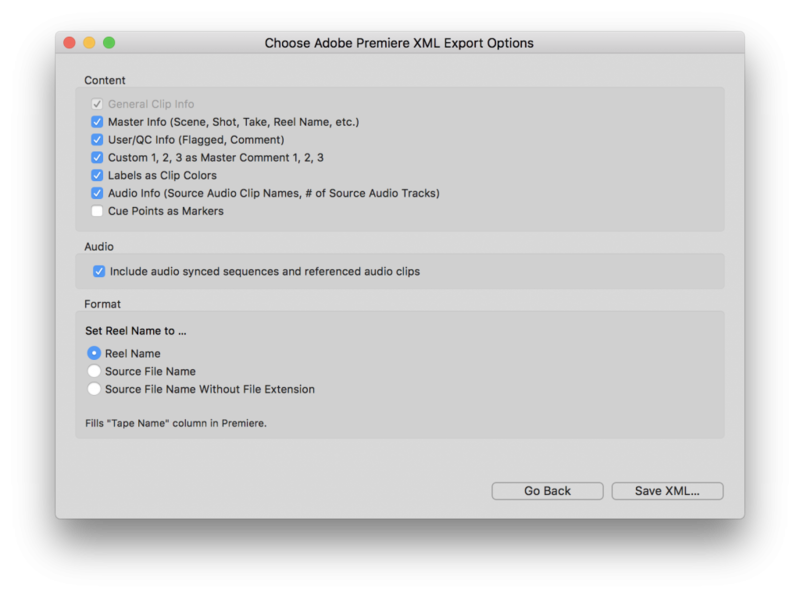 Right after automatic audio sync the xml with audio sync information can be exported and provides synced sequences without transcoding again. Another use case could be bringing camera native ProRes files into edit with synced audio from Silverstack. Make sure to mark the checkbox “Include audio synced sequences and referenced audio clips”. This will equip the XML with the necessary information. They can now be used for editing. 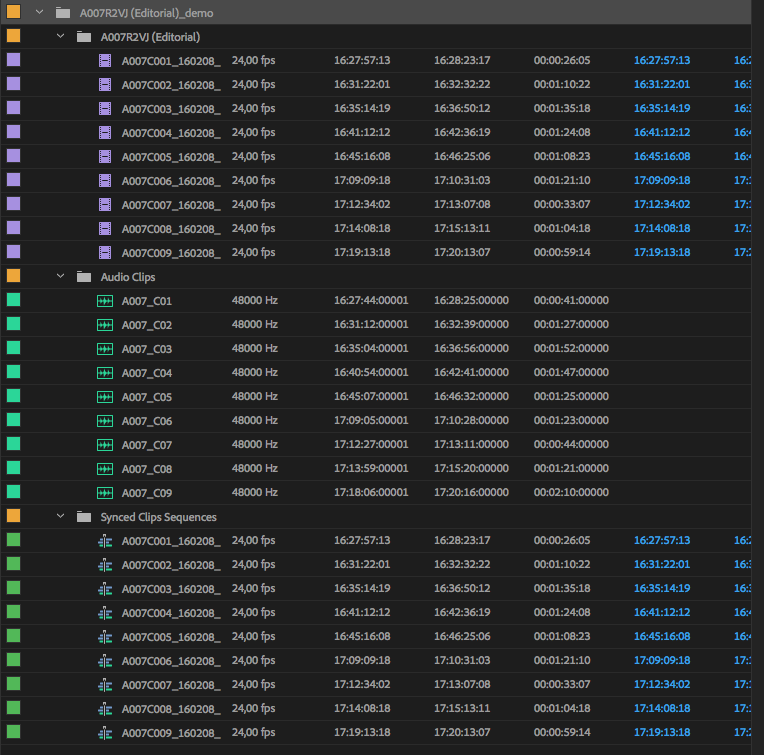 To learn more about audio sync with external audio clips in Silverstack Lab and Silverstack XT please take a look at the articles How To Automatically Sync Audio Based on Timecode in Silverstack Lab and How to Manually Sync Audio in Silverstack XT and Silverstack Lab. Mention the “special setting” for editing ? 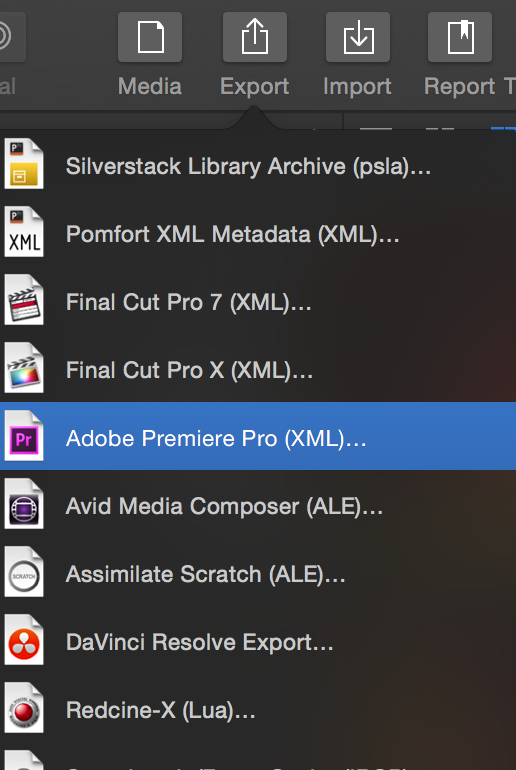 After saving the XML from Silverstack you can go ahead and open the XML file in Premiere Pro. Open Premiere Pro. Go to the “File” menu and choose “Open Project…“. Choose the previously exported XML file and click “Open”.